Willing to relocate for the right position. Jobs based near Milford CT would not require housing or ability to bring horse. Relocation outside of CT area would require both. 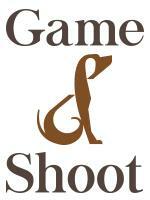 Coordinate and Manage Hunter/Jumper competitions in CT & NY. Head Coach for the Fairfield University Equestrian Team. Riding & competing since I was little. 8 years as a Professional. Can manage all aspects of running a barn or business. Ability to teach, ride, and handle emergencies. Familiar and comfortable with Equine (and Human) First Aid, bandaging, wound care, IM & IV injections. Primarily Hunter/Jumper focused. Some experience with Dressage & Western. I believe that good flat work is the key to any discipline.